GAL APPROVED! Halloween Treats; No Trick With This Colon Cleanser! & Boo Up Your 'Do! GAL APPROVED! Halloween Treats; No Trick With This Colon Cleanser & Boo Up Your ‘Do! MUNCH! It’s Halloween weekend! Our fearless EIC rocked out her costume (’70s glam) at BELLA New York magazine’s and OK!TV’s Halloween party, which celebrated their announcement of their new partnership, in addition to OK!TV’s move to WABC in New York. And how did they fill the giftbag? With Hershey’s candy of course! This Halloween, treat yourself to KitKats, Whoopers, Reese’s, Twizzlers and Jolly Ranchers, and enjoy every tasty bite! CLEANSE. 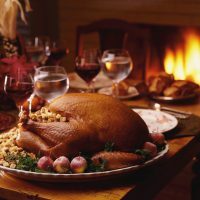 After gorging on our Halloween treats, we may need a little detox. 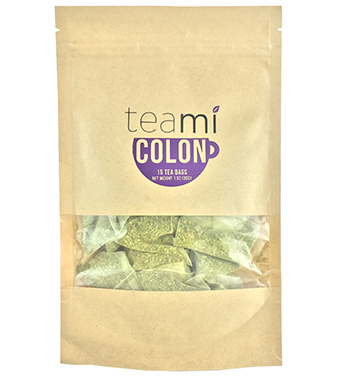 Enter Teami Colon Cleanse Tea, which is designed to purify the body by clearing the digestive tract of toxins caused by pollution, harsh chemicals and processed foods. Active ingredients in the dairy-, gluten- and sugar-free mix include Senna Leaf & Root and Psyllium Husk Seed, which are both used as laxatives; Hawthorn Berry Extract, which some research says lowers accumulation of fats in the liver and the aorta; Phaseolus Calcaratus Seed and Poria Cocos Stem Bark, considered to have anti-inflammatory potential; Rhubarb Root, which works on digestive tracks; and Valerian Root; a possibly effective aid in treating insomnia. We were brave enough to brew up a batch and we can attest it works. Our only boo-boo was drinking in the morning. By evening, we had to run home as Teami worked its magic (and we have to say, we felt a few cramps while it was “extracting” from our gut). We suggest following the instructions closely, steeping it for one to three minutes only and drinking it at nighttime. You may also want to test it on a day you’ll be close to your loo, as you will have to go! PROTECT. I’ll be rocking a crazy unit on Halloween day, but when it comes to bedhead, I go all natural! To protect my natural ‘do while I’m in between the sheets, I slip on my SLAPS by Grace Eleyae. 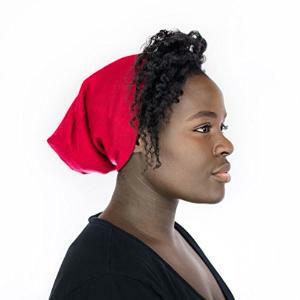 These versatile, stylish caps have a satin lining that protects your hair from snags while sleeping and helps hold in much-needed moisture, while the elastic band helps to hold the cap on your head through the night. When I think about it, they’re so freaking cute, they may just make post-Halloween daytime appearance too! Get yours at amazon.com. 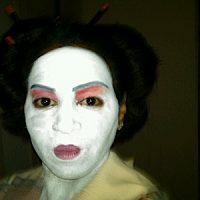 DIVAGALS’ MOST MEMORABLE HALLOWEEN COSTUMES: Design Diva’s Geisha Gone Wild! DIVAGALS’ MOST MEMORABLE HALLOWEEN COSTUMES: Image Gal As Wonder Woman! 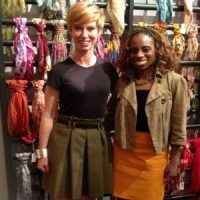 GAL APPROVED Weekend: Style’s Newest Series; Silky Straight Hair & NYC Treats for MOM!